Friday, 13 January, 2012, the Nigeria Police makes a great breakthrough in its quest to unravel the mystery behind the series of bombings that have sent a lot of innocent Nigerians to an early grave. A key suspect behind the tragic Christmas day bomb blast in Madalla, Niger State is arrested in Abuja. The interesting part of the arrest is that he is arrested in the Borno’s State Governor’s lodge in Abuja in the company of an unidentified friend and serving Air force officer said to be giving him protection. The name of the suspect is Kabir Sokoto, said to also hail from Borno State, known to be the hotbed of Boko Haram. With this arrest, it looked like a major breakthrough in the fight against Boko Haram has been made. The suspect is immediately taken into custody. He is transferred to the police station for interrogation. Those who are familiar with the Nigerian police understand the full meaning of the word interrogation in a Nigerian police cell. The chances of surviving it without physical body injuries are narrow. Also the chances of you not confessing to known and unknown sins are also narrow. What the officers that arrested Kabir Sokoto and detained him for interrogation did not know was that his arrest has gotten some high powers uncomfortable. Kabir Sokoto was not to be subjected to the interrogation tactics of the Nigerian police by all means. An Emir whose sons are said to be close friends to Kabir Sokoto and who is said to wield a lot of influence with top political figures was making the required calls. Pressure was mounting on the Nigeria police force to let their catch walk free. Unfortunately, the arrest of the top Boko Haram suspect had already broken out in the media. So, letting Kabir Sokoto walk free would not be an easy task. There had to be a good plan to make that happen. Monday Morning three days after the arrest of Kabir Sokoto, Nigeria’s most important suspect in unravelling the Boko Haram menace, Commissioner of Police Zakari Biu, who also incidentally hails from Borno State, appears at the police station where Kabir Sokoto, who also hails from Borno state, is being kept and ask that he be handed over to him for special interrogation. He claims he has special instructions to search the suspect’s house in Abaji part of Abuja where the suspect lives. For those who do not know Zakari Biu, a little background on him will provide some insight. His profile reads like fiction. Biu is a man who has experienced the two faces of terrorism. 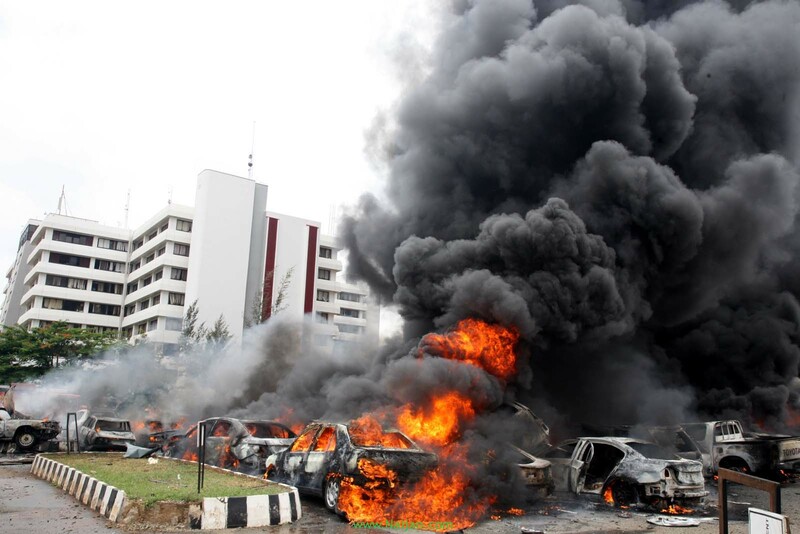 He is said to have lost a Son to the Independence Bomb blasts in Abuja. His Son was a staff with Nigeria’s anti-corruption agency, the Economic and Financial Crimes Commission (EFCC). However, Biu also has been linked with planting two different bomb blasts in the past as late Sani Abacha’s anti-terrorism chief. Two high profile deaths linked to Biu are the deaths of Bagauda Kaltho, a journalist working for TheNEWS magazine, and Dr. Sola Omatsola, former Chief Security Officer of Murtala Muhammed International Airport. Both of them died through bomb blasts which Biu claimed they were trying to plant though it is believed that Biu himself may have had a hand in the planting of the bombs that killed both men because of their stand against the Abacha regime. Biu was sacked from the Nigeria Police after the terrorism of the Abacha days came to an end with the sudden death of Abacha. However, he got a reprieve after his former classmate Ringim was made the inspector general of police. He was reinstated by the Police Service Commission and promoted to the position of commissioner of police in charge of CID zone 7 of the Nigeria police. So Monday morning, Zakari Biu walks into the Abaji local police station and walks away with Kabir Sokoto on the pretext that he was going to search the suspect’s house. Kabir Sokoto is handed over to four armed police officers to take him to his house for a search. Kabir Sokoto is assumingly in hand cuffs on his hands and feet, the usual drill when Nigeria police is taking a suspect out of the station. At Abaji, a mob comes out from nowhere taking the police men by surprise and asking that Kabir Sokoto is handed over to them. 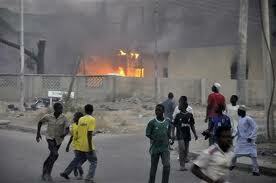 Surprisingly, the four armed police men, without firing single shot hands over Kabir Sokoto to the mob. It is not clear if the mob insisted that they also remove the handcuffs on Kabir Sokoto’s legs and hands before taking him away. But miraculously, a suspect that was supposed to be in handcuffs on both his legs and hands is able to walk away. The Nigerian police with a reputation to shoot at unarmed civilians without provocation suddenly ran out of the will to shoot when it came to preventing Nigeria’s most dangerous suspect from escaping. But then Zakir’s Sokoto’s miraculous escape seems to have suddenly stirred the hornets’ nest. In focus suddenly was Biu, who very few people knew has been reinstated into the police and Ringim’s reputation and job suddenly was placed on the line as a fall out of Kabir Sokoto’s escape and also his apparent links with Biu, whose reputation raises a lot of questions. The Presidency queries the Inspector General of Police mandating him to fish out Kabir Sokoto. The inspector general police suddenly announce a N50 million reward for the arrest of Kabir Sokoto. Rumour circulate that he has been arrested. 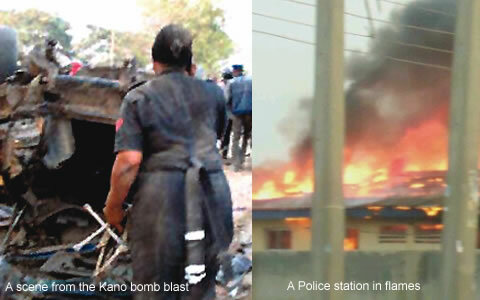 It is denied and then suddenly bombs starts exploding in Kano State, the home state of the inspector general of police. This time it is not Christians that are under attack. The police are the ones under attack with unconfirmed reports that the IG’s own house was also attacked. 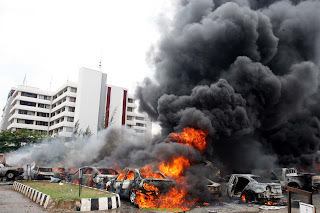 The casualty figures are the highest since the first Boko Haram attacks began in Borno State with reports now estimating that between 120 to 180 people may have lost their lives in the Kano bomb blasts. The Kano attack by Boko Haram is the first major attacks carried out by Boko Haram in Kano State and it is the biggest outside Borno State. It is also the biggest attacks on the Nigerian police since Boko Haram claimed the attacks on the Nigeria Police Head office in Abuja. It comes a few days after the miraculous escape of a major Boko Haram suspect. It also comes after what seems like a clear link is being established between Boko Haram and the security forces and a State. It looks like the desperate last stand before a fall. This is the time the uncompromised part of the Nigeria security agencies need to dig deep and move very fast on the obvious leads that they have currently. The Kabir Sokoto escape story has some loose ends the Nigeria security forces are yet to answer. He was arrested in the company of two men. What happened to the two men? Were they allowed to walk free or are they still in police custody? Was Kabir Sokoto allowed to escape to enable him carry out the Kano Bombings? I would not be surprised if the story comes out tomorrow that he was the suicide bomber that carried out the attacks in Kano? In that case, he is dead and in no position the implicate anyone. Borno State government has come out with several stories trying to deny its connection with Kabir Sokoto. The stories all sound lame. Everyone knows that you do not get access to the governor’s lodge in Abuja unless you have connections in government house. Who are the contact men of Kabir Sokoto and his friends in Borno State government house? 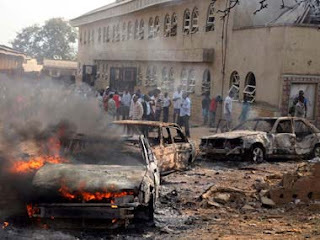 Borno State is known to the hot bed of Boko Haram. Boko Haram also originated from Borno State. Too many links point to a close association between Boko Haram and political functionaries from Borno State that it is high time the Federal Government and intelligence agencies placed a laser focused eye on the state. The politicians sponsoring Boko Haram from the state have to start feeling uncomfortable. Indications are that if Boko Haram has to be stopped, it has to be stopped in Borno State. The Boko Haram genie left the bottle in Borno State; it has to be corked in Borno State.